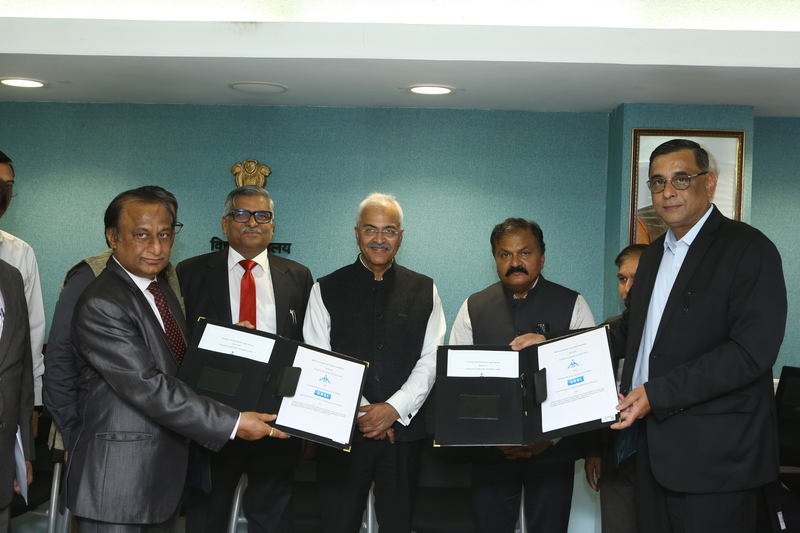 Airports Authority of India has signed a Memorandum of Understanding (MoU) with the Energy Efficiency Services Ltd. (EESL) to replace existing lights with energy efficient LED lights at various airports and buildings of AAI. 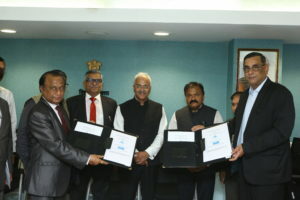 The MoU,signed by Anil Kumar Sharma, Executive Director (Engg), AAI and Saurabh Kumar, Managing Director, EESL in presence of Ajay Kumar Bhalla, Secretary, Ministry of Power, Dr. Guruprasad Mohapatra, Chairman, AAI and senior executives of AAI and EESL. Under the agreement, EESL will replace the conventional lighting at a cost of Rs 24.41 crores. They will carry out warranty replacement for a period of five years. The Airports Authority has replaced old lights with LED at a cost of Rs 16 crores in Phase-I under National LED programme. AAI plans to save Rs 14 crores through saving 20 million units of electricity. “Around 20 per cent of the total electricity consumption in Airports goes for lighting loads. The replacement of existing lighting by LED lights by EESL, will bring huge benefits to AAI in terms of power savings, reduced energy bills. This MoU will ensure low capital cost of LED lights as EESL is large aggregator of demand,”said Dr. Guruprasad Mohapatra, Chairman, AAI.